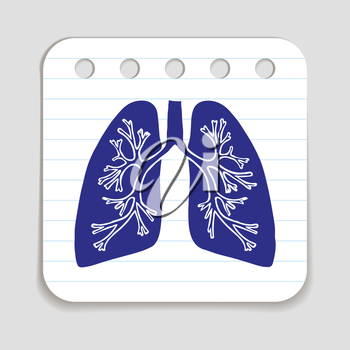 Doodle Lungs icon. Infographic symbol hand drawn with pen. Skribble style graphic design element. Web button. Medical symbol on a notepad page with lines.